Things to do in Nashville for couples include the rollicking Nashville music scene, exploring Tennessee history, and inspiring civil rights history. World TravelingMom shares romantic restaurants in Nashville, where she and her husband enjoyed delicious Southern breakfast like biscuits and grits, and lingered over Southern dinner like fried chicken and cornbread. 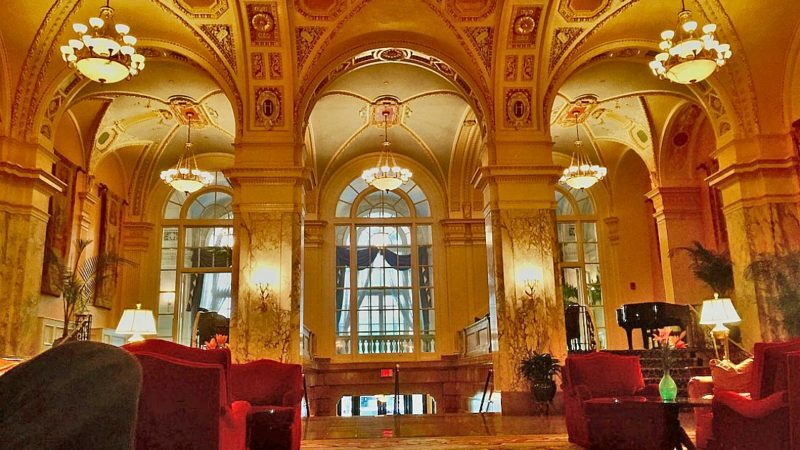 Right downtown is a romantic hotel in Nashville, perfect for a pre-dinner drink by the fireplace. And less logistics means more romance. Things to do in Nashville for couples include enjoying music, sipping drinks in a gorgeous hotel lobby, exploring Tennessee history, romantic restaurants in Nashville, and more. The Hermitage Hotel. Things to do in Nashville for couples includes calorie-splurging on delicious Southern food. My husband and I enjoyed a traditional Southern breakfast in the beautiful dining room of The Hermitage Hotel. Like piping hot biscuits straight from the oven. And buttery grits made with heavy cream, smoked bacon, eggs. Pure deliciousness. TravelingMom Tip: Be sure to ask to see the Men’s Restroom. It’s perfectly preserved Art Deco. But don’t go in by yourself, ask a hostess! Woolworth on Fifth. 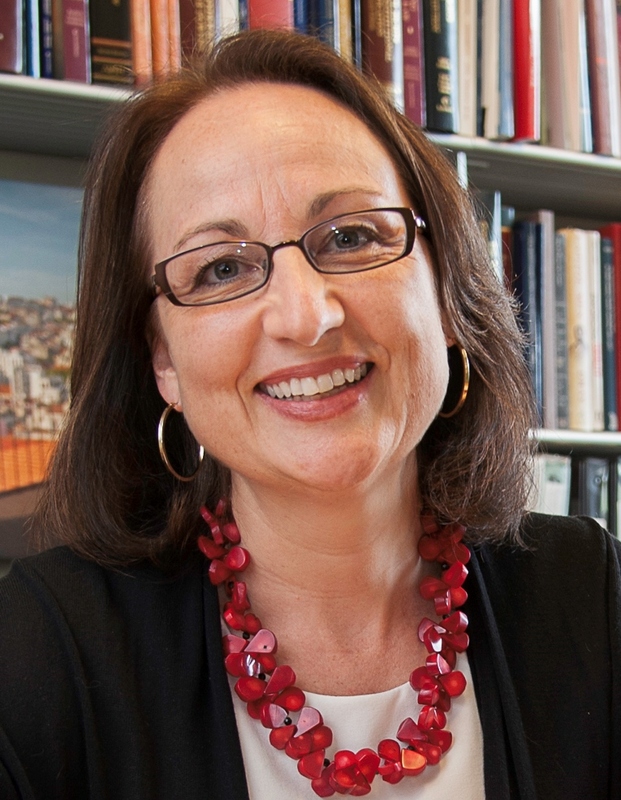 Do you know about the Nashville civil rights activists who protested segregated lunch counters? Now, a restaurant in Nashville has renovated the site of a 1960 lunch counter protest. 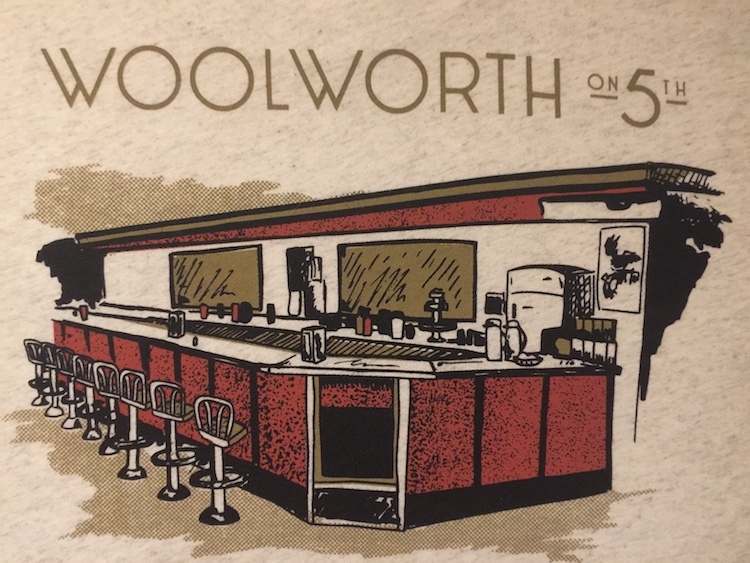 At the new restaurant, Woolworth on Fifth, we ate delicious traditional Southern dinner. Like short ribs over corn pudding, cornbread, hot cheesy biscuits. And of course juicy fried chicken. During dinner, a big screen showed song and dance clips in black and white. After dinner, we checked out the restaurant’s reproduction of the lunch counter, photos of the actual civil rights protests that took place inside and outside the building, and the basement ballroom that will host music and other performances. Plus, I was thrilled to be where history was made. Downtown Nashville near Broadway and Printers Alley is famous for its music clubs. And, while we didn’t go into any clubs, my husband and I wandered the neighborhood. We liked hearing snippets of music, people-watching and seeing the cheerful neon signs. And if a music museum appeals to you, check out the Johnny Cash Museum in Nashville. In 1960, college students inspired by Martin Luther King protested racial segregation at lunch counters in Nashville. Now, the Nashville Public Library honors those protests with a room devoted to civil rights history. 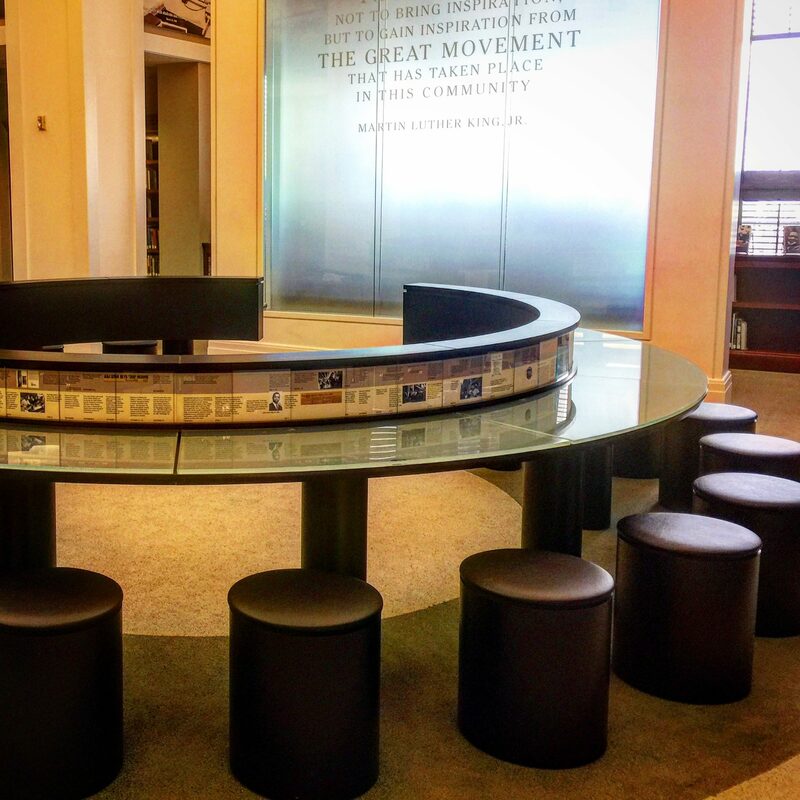 The Civil Rights Room at the library recreates the lunch counter seats, just blocks from where this history happened. Including the rules that the non-violent protesters followed. Like, do not strike back or curse when abused. Plus, in a soundproof space in the Civil Rights Room, my husband and I watched several excellent short videos about this American history. In fact, the whole room had fascinating civil rights exhibits and books. Including an interactive exhibit about the roots of American music. And if American civil rights history appeals to you, check out these ideas for Memphis, Tennessee, for Mississippi, for New Orleans, Louisiana, and for Philadelphia, Pennsylvania. TravelingMom Tip: The Nashville Public Library has a great area for little kids, including the colorful climbing structures in the photo below, a theater, and other play areas. Bonus: it’s free. The gorgeous lobby of The Hermitage Hotel is filled with marble, elegant chairs, romantic soft lighting, a stained glass ceiling. And a fireplace. Sipping our pre-dinner drinks in front of the Hermitage lobby fireplace was a delightful way to enjoy this romantic hotel in Nashville. First, nothing says romance like “free.” So my husband and I enjoyed visiting the free Tennessee State Museum. We saw exhibits about Tennessee history from pre-historic times to the frontier to the Civil War to the New South. And for other free things to do in Nashville, click here. TravelingMom Tip: The Tennessee State Museum will relocate to a brand new building in late 2018. Downtown Nashville is packed with fun. And for me, easy logistics means less hassle and more romance. So I was glad to ditch the car for our stay in Nashville. Instead, my husband and I explored Nashville’s happening downtown on foot. 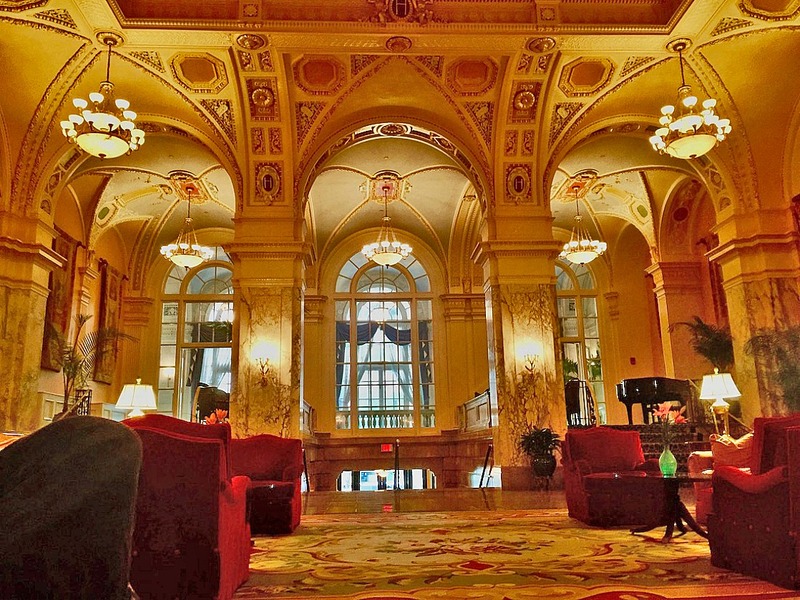 In fact, the gorgeous Hermitage Hotel was an easy walk from every place we visited in downtown Nashville. 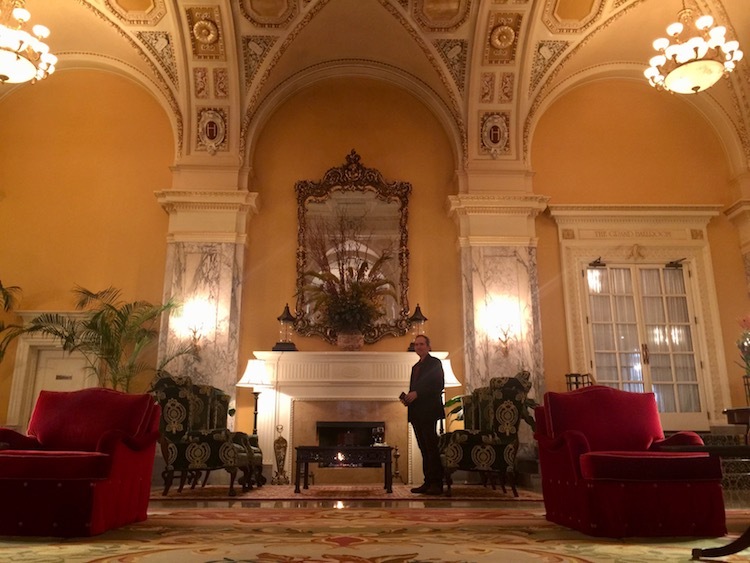 In addition to its beauty, this romantic hotel in Nashville had a stunning lobby with space for downtime, great food, friendly and helpful staff. Plus, a big welcoming room with both a couch and desk. 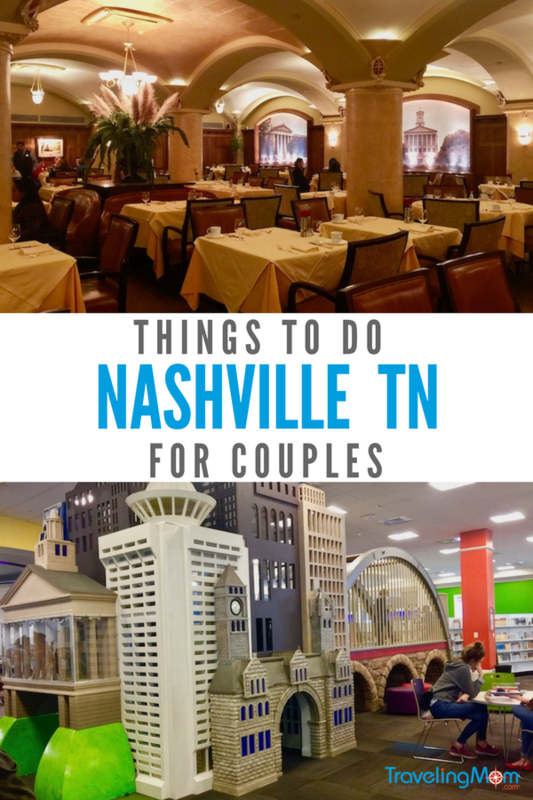 What things to do in Nashville for couples appeal to you? Tell us about it in the comments. Lovely tips. What about the Nashville artists? My son the actor brought me a pair of hand-crafter silver earrings when he visited Nashville for the craft cocktail scene. 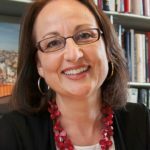 Artists and craft cocktails – those both sound fun! We’d happily go back to Nashville for another visit. Wonderful post! Really have a beautiful and enjoyable things in Nashville..I love their tasty food.. Thanks for the tips i would love to travel such a amazing place. I hope you get to go! I can taste those buttery biscuits now – we’d return in a heartbeat.